We're recruiting Preschool Pals! Learn more here. 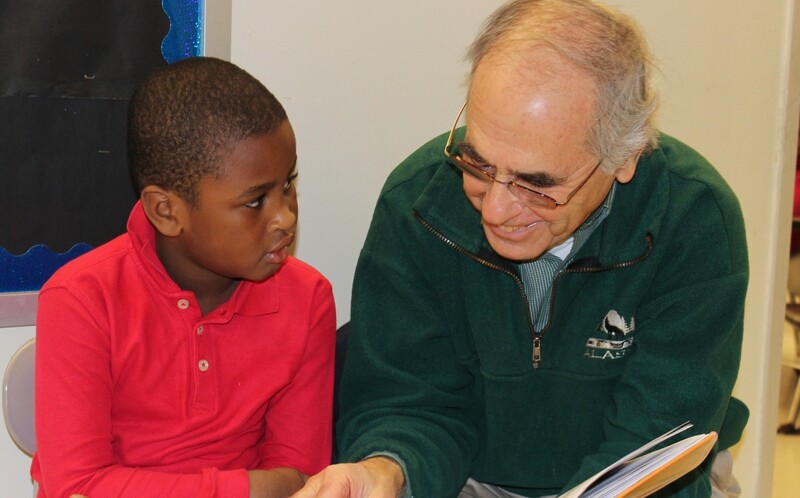 Founded in 1998, Children’s Reading Partners (formerly the Hartford Jewish Coalition for Literacy) is a program of volunteers who work to build and improve the reading skills of pre-kindergarten to grade six, educationally at-risk public school students in Hartford, Bloomfield, East Hartford, New Britain and West Hartford. Elementary Express – Reading mentors read books for 30 minutes weekly one-on-one with at-risk kindergarten through sixth-grade students. Reading Buddies – Middle school students read books weekly with a kindergarten student in Hartford and Bloomfield for one month. Preschool Pals – Volunteers read with preschool children weekly in Bloomfield for 10 weeks in the spring and six weeks in the summer. In Greater Hartford, there is a staggering opportunity gap between students from less affluent towns and their peers in more advantaged communities. Literacy skills are essential for success in school and in life. Children’s Reading Partners is an initiative of the Jewish Community Relations Council, part of the Jewish Federation of Greater Hartford, and an affiliate of the National Jewish Coalition for Literacy. Major grant funding is provided by the Jewish Community Foundation of Greater Hartford, SBM Charitable Foundation, the Stocker Foundation, the Jeffrey P. Ossen Family Foundation, the Kinder Morgan Foundation, People’s United Community Foundation, and George A. & Grace L. Long Foundation at Bank of America. For more information, please contact us at READ@jewishhartford.org or at 860-236-READ (7323). Be sure to visit our Facebook page for the latest news and updates. Click here to view a gallery of student artwork. The following generous sponsors have contributed in honor of our 20th anniversary.